Russia’s Progress MS-08 resupply ship scheduled to fly to the International Space Station (ISS) in early February is expected to use a two-rotation scheme for the first time, Flight Director of the ISS Russian Segment Vladimir Solovyov said on Tuesday. The space freighter will make two rotations around the Earth to reach the ISS in three hours, he said. "We will practice a new docking scheme aboard the Progress freighter, which will set off for the ISS in early February, and will deliver it after two rotations [around the Earth]," Solovyov said. "EVA [extra-vehicular activity] is planned for the Nauka module and we will practice a new docking scheme aboard the Progress freighter. If we succeed, we will carefully analyze it to see how reliable and safe it is. 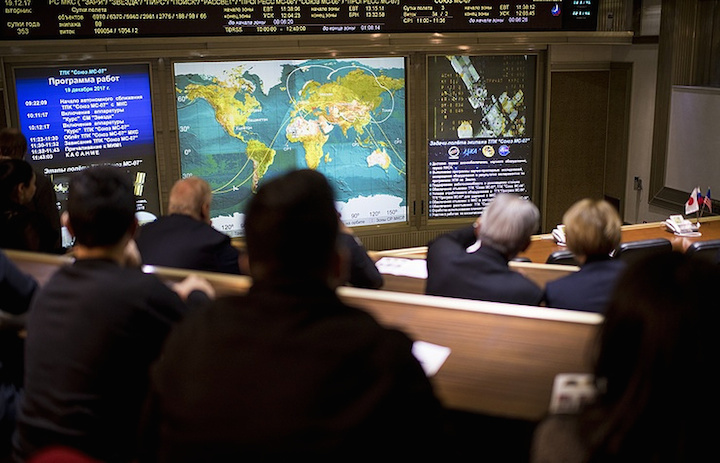 If it suits us, we will move further and introduce it for manned spacecraft as well," the flight director said. As was reported earlier, the launch of a Progress MS-07 space freighter to the ISS scheduled for October 12 was cancelled by automatic controls. As a result, the resupply ship was launched on October 14. It was originally planned that the Progress MS-07 cargo spacecraft would for the first time perform its flight to the world’s sole orbiter under a three-hour scheme (two revolutions around the Earth’s orbit) but finally the flight was carried out under a two-day scheme. Executive Director for Manned Space Flights at the State Space Corporation Roscosmos Sergei Krikalyov earlier told TASS that a micro-computer glitch had been behind a decision to reschedule the launch of Russia’s Progress MS-07 resupply ship from October 12 to October 14 but did not elaborate on this issue. He said that the faulty micro-computer had been replaced.